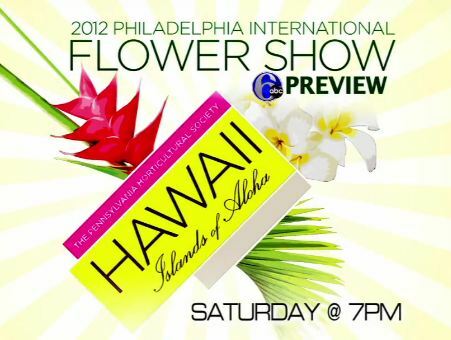 Tonight is the Preview Party for the Flower Show, which means tomorrow is Opening Day! The excitement at the Pennsylvania Convention Center is off the charts, and if you’re equally giddy, here’s some suggestions to get you through. First, be sure to tune in to the annual 6abc live broadcast from the Show floor. This special edition of FYI Philly airs from 7 to 8 pm tonight and is hosted by the well-respected, much-loved duo of Cecily Tynan and Adam Joseph, plus other all-star members of the AccuWeather team. As you watch, head over to the 6abc website for the live chat, conducted by PHS garden guru Sally McCabe. Sally will answer gardening and Flower Show questions, so if there’s something you want to know—just ask! Here’s the link, but it won’t go live until it’s chat time! Have fun counting down the hours! Flower Show insiders know that the annual Preview Party is a fun-filled way to see the exhibits before anyone else…and sip a cocktail as you do. If you’re unfamiliar, the Preview Party is Saturday, March 3, 2012 at 6 pm. The event is black-tie, which means it’s as much fun to admire the people as it is the plants. You might also catch a glimpse of Adam Joseph and Cecily Tynan of 6-ABC as they film the popular televised Flower Show special. The Preview Party is open to the public, but advance registration required. All proceeds from the Party support PHS and its acclaimed urban greening programs, so you can feel good about having a ridiculous amount of fun. Click here to purchase tickets for the Party. For additional information, please call 215-988-8830 or email previewdinner@pennhort.org. But wait…who says the party has to stop? For the first time ever, the Flower Show floor turns into a dance floor immediately following the Preview. Guests will enjoy tasty Hawaiian treats, Mai Tais and a DJ, while celebrating below a canopy of crashing waves and breathtaking orchids. The After Party, from 8:30 pm – 12:30 am, is staged by the PHS Young Friends. Cocktail attire is requested. Buy tickets at www.pennhort.net/afterparty or call 215-988-1628. Be one of the first people to purchase your tickets and receive a swag bag! Hold up, it gets better! Attend the After Party for free by purchasing a PHS membership with the new Young Friends add-on; single and dual options are available. For more information regarding the Young Friends membership add-on, visit www.PHSonline.org or call 215-988-1628. PHS Young Friends invites you to celebrate the opening of the Flower Show on Saturday, March 5. Starting at 8 pm, come to SoleFood Restaurant at the Loews Hotel for the Preview Party After Party. Loews will generously provide appetizers, drink specials, and a DJ. 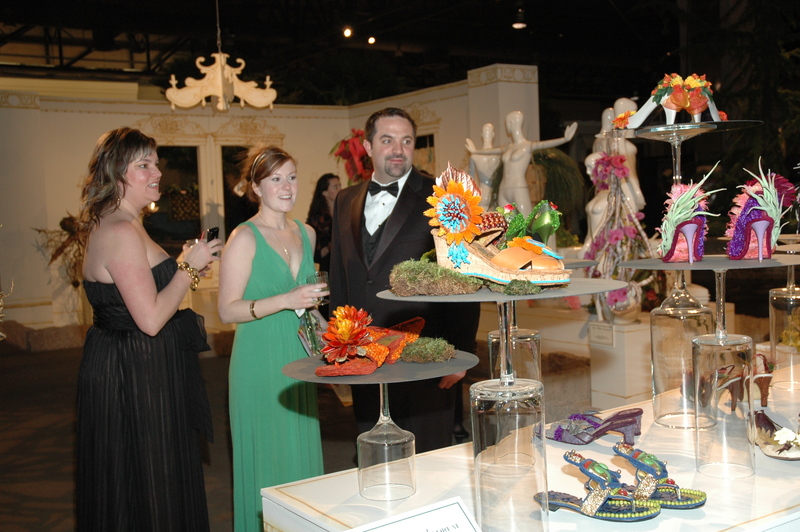 You can also enter to win a $150 gift certificate to SoleFood and tickets to the 2011 Flower Show. Although you don’t need to attend the official Flower Show Preview to join the After Party, you should seriously consider both! Special rates are available for Young Friends to attend the cocktail reception at the Preview. Enjoy live entertainment, open bar, and a Show sneak peek at this lively black tie event. The “Junior Patron” cocktail-only rate is $125 per person. Click here for more information and to purchase tickets. The PHS Young Friends are a group of people in their 20s and 30s who share a common interest in gardening, greening, and the region. Admission is free, but RSVPs are requested. Click here to RSVP or call Alexis at 215-988-1622. Can’t remember the last time you put on a bowtie? Have a gorgeous gown that’s waiting for a chance in the spotlight? 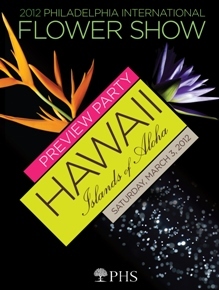 Step out in style at the annual Flower Show Preview Party on March 5. 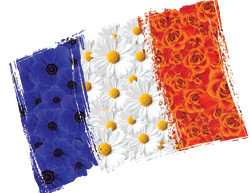 Enjoy cocktails and fine French hors d’oeuvres among the beautiful floral and garden displays of the 2011 Show, Springtime in Paris, followed by a sumptuous dinner in the Grand Ballroom. You’ll not only enjoy one of the region’s most elegant black-tie events, but you’ll also be supporting a great cause. 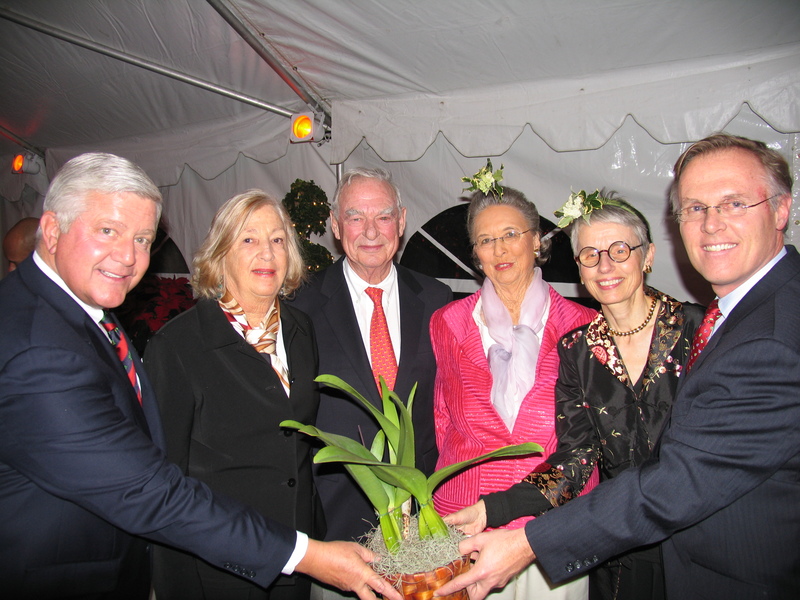 All proceeds from the Philadelphia International Flower Show and the Preview Party benefit the Pennsylvania Horticultural Society and its programs, which help create greener communities throughout the region. Advance tickets are required. For more information or to purchase tickets, click here. Or contact PHS at 215-988-8830 or email previewdinner@pennhort.org. On the evening before the Flower Show opens, the traditional Preview Dinner takes places, replete with tuxedo’d gents and ladies in glamorous evening gowns. 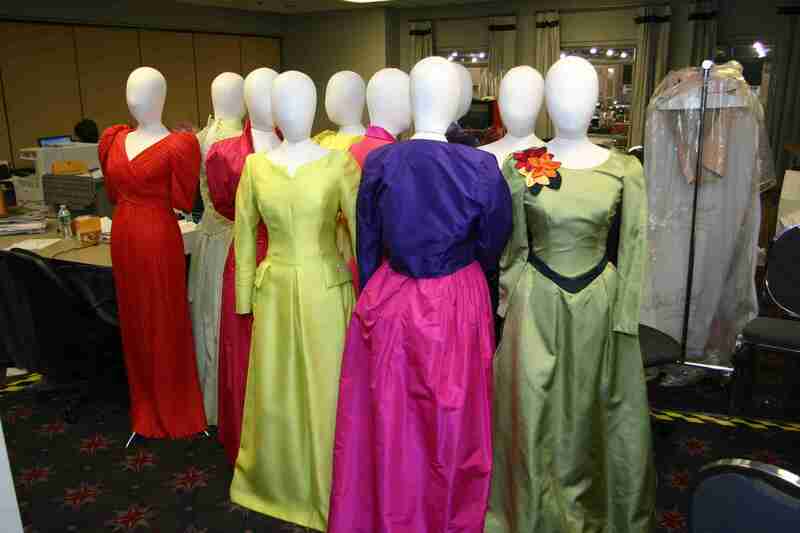 PHS president Jane Pepper always wears one of her famous “gem colored” gowns and, as a celebration of her 29 years of service, the dresses were displayed for Preview Dinner guests. Here they are back in the Show offices, after the wonderful party wound down. Wow! Drew Becher, Executive Director of New York Restoration Project (NYRP), who has spearheaded New York City’s renowned MillionTreesNYC greening initiative, will become the 36th president of the venerable Pennsylvania Horticultural Society (PHS). Becher will succeed Jane G. Pepper, PHS leader since 1981, who raised the stature of the Flower Show internationally and guided Philadelphia Green into a national model for urban revitalization. NYRP was founded by entertainer and environmentalist Bette Midler in 1995. 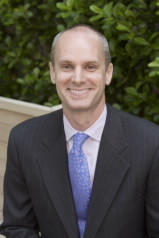 Becher has led the non-profit NYRP since 2006, and during his tenure has been a respected leader in the city’s greening and beautification initiatives. In 2007, Becher and NYRP partnered with Mayor Michael R. Bloomberg and the New York City Department of Parks & Recreation to launch MillionTreesNYC, which has led to the planting of more than 310,000 trees in New York City’s five boroughs to date. Becher is also responsible for raising millions in revenue for capital projects; revamping NYRP’s environmental educational programs for more than 10,000 children in underserved communities; and expanding the organization’s programs for community gardeners and volunteers. A secret garden is growing at the 2010 Philadelphia International Flower Show. 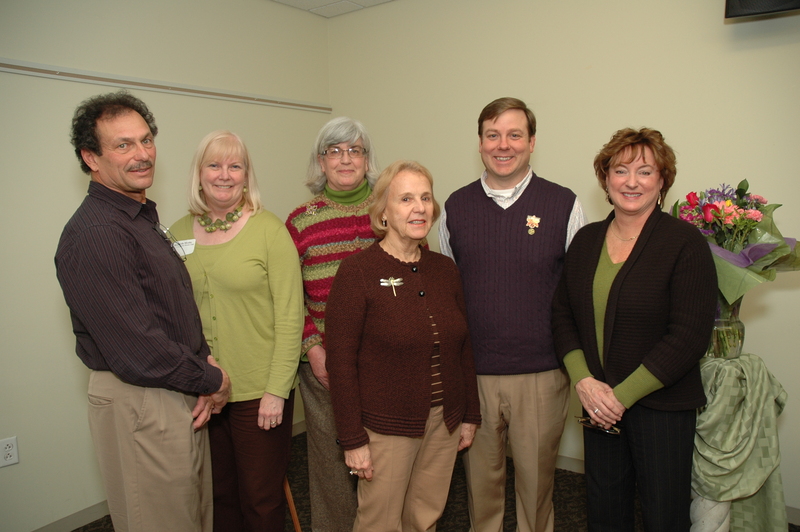 It is being planned and planted by longtime volunteers, former and current exhibitors, friends and PHS staff for Jane G. Pepper. Pepper is retiring later this year from her job as PHS President, a post she has held since 1981. This will be her final Flower Show as President, having raised the stature of the Show internationally and guided the expansion of the Philadelphia Green program into a national model for urban revitalization. So, behind pipe and drape on the Show floor, a group that calls itself Pepper’s Lonely Hearts Club is creating a tribute garden that will not be unveiled until Feb. 26, the last night of set-up. The name of the gardeners’ group provides a hint of the display theme – the music of the Beatles, in keeping with Pepper’s musical taste. 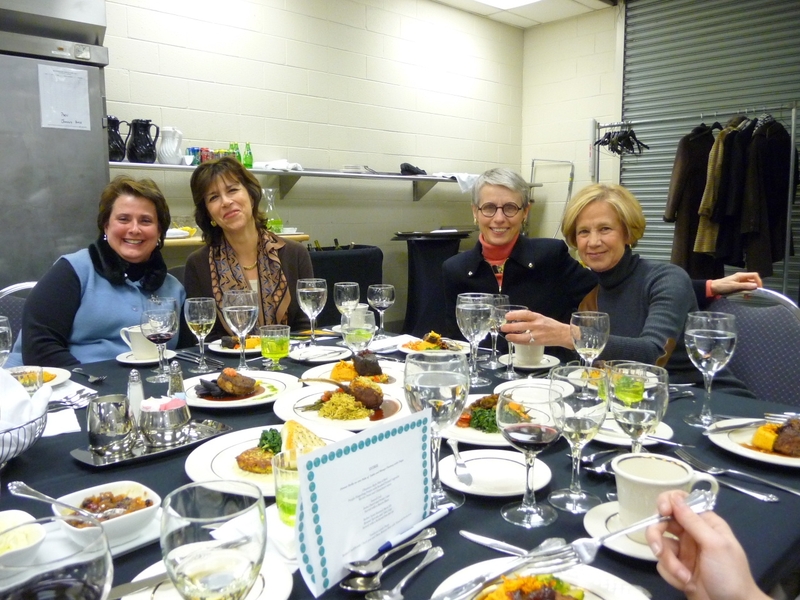 Last week, members of the Flower Show’s Preview Party Committee – and their distinguished taste buds – met at the Pennsylvania Convention Center to select the menu for the black-tie event, which is coming up on Saturday, Feb. 27. The Preview Party offers guests an elegant and exclusive view tof the Flower Show before it opens to the public. More importantly, the event raises funds for PHS’s outreach projects, including its acclaimed urban revitalization program, Philadelphia Green. During the cocktail reception, Bollywood dancers and Brazilian musicians, provided by World Cafe Live, will entertain guests. ARAMARK is offering sumptuous hors d’ouevres representing the different countries featured in the Show: Brazil, South Africa, India, Singapore, the Netherlands and New Zealand. PHS will offer its own special cocktail: The Globaltini! For more information on the Party, visit here. From left to right, PHS Council Member Harry Hill, Marguerite and H.F. “Gerry” Lenfest, Mrs. Samuel (Dodo) M.V. Hamilton, PHS President Jane Pepper and PHS Council Chairman John Ball. Mrs. Hamilton received a special orchid - Waldor Orchids' Brassolaeliocattleya Jennifer Off 'Joan' - as a gift. More than 250 guests attended a party Dec. 8 hosted by Mrs. Hamilton at her greenhouse in Wayne to celebrate PHS reaching an important milestone in its Legacy Landscapes Campaign to ensure horticultural maintenance of some of the city’s most treasured landscapes. PHS has raised $2 million to match a $2 million challenge grant from Marguerite and H.F. “Gerry” Lenfest, bringing the $12.1 campaign to the $8.5 million mark. The campaign will culminate at the black-tie Preview Party for the 2010 Show, “Passport to the World,” Feb. 28- March 7, 2010 at the Pennsylvania Convention Center. For more information on Legacy Landscapes, and the Flower Show Preview Party, click here.